Chef Jonas, head chef and owner of Huat Pot Hotpot Restaurant in Greenhills and Le Jardin in Bonifacio Global City, takes us on a culinary journey to the food industry by showing you the faces, places, and stories behind the food industry that we are only starting to discover. He shares the easiest and most practical ways to cook restaurant recipes, some tricks of the trade and chef hacks that he has learned over ten years of working inside a high-pressure, solution-oriented professional kitchen. Each episode teaches viewers how to come up with restaurant quality output from modern urban limitation And just like in real-life kitchens, be prepared to see how Chef Jonas bounces back from realistic kitchen struggles like lack of time, space, and budget by doing his #chefninjamoves as he will “MacGyver” his way to coming up with creative and informative solutions in every kitchen crisis he is thrown with. Comical, adventurous, and passionate. 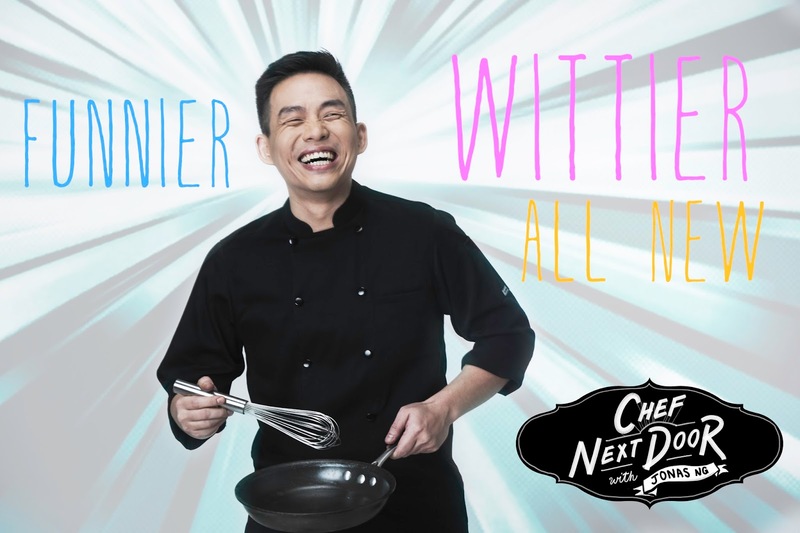 “Chef Next Door Season 2” will air regularly on Lifestyle every Wednesdays at 9:30PM, Thursdays at 1:00AM, Saturdays 6:00PM, Sundays 10:00AM, Mondays at 3:30PM, Tuesdays at 12:00MN. The Group Entertainment is a media company focused on the business of international content development and distribution. The company aim is to create, source and develop intellectual property with the neXt factor. Its award-winning properties have gained widespread international distribution since the company started in 2010. Lifestyle is a Filipino cable television network owned and operated by Creative Programs,Inc., a subsidiary of the media and entertainment company ABS-CBN Corporation. The channel serves as a guide with a wealth of relevant and insightful content for multi-faceted Filipino millennial women. It is the channel to ﬁrst recognize the need for lifestyle content that speciﬁcally caters to the preferences of Filipinas, and hence is the pioneer in local lifestyle programming. It balances a mix of acquired and locally produced lifestyle content that has also continuously evolved to suit the ever-changing needs and behavior of its viewers. On-air, online, mobile an on-ground, Lifestyle inspires and moves women to become better versions of themselves.